We’ve all been there, frozen in a group of unfamiliar people. You know you should be networking, but you just feel paralyzed. It’s awkward, and you’re envious of others that seem to effortlessly meet others. You walk away with maybe a business card or two while they have gone through the room and talked with nearly everyone. The truth is, you’re both doing it wrong. Networking is not a numbers game. You aren’t here to meet everyone. Think about your marketing efforts. Can you, or better yet should you, sell your product or service to everyone? No. You should only sell to people that are a good fit with what you offer. For networking, the same principles apply. The goal is to find people you connect with that are open to building a mutually beneficial relationship. They should truly believe in what you do and you should truly believe in what they do. Ideally, they will amplify your business and accentuate your efforts. So how do you find these people, and what do you say if you’re an introvert? This guide breaks down multiple networking strategies for shy professionals. We share the three stages of networking for in-person events if you’re an introvert and cover low-pressure alternatives to traditional networking. Intimidated by mixers in loud bars and restaurants? Target events in less buzzy locations, such as businesses or co-working spaces. Events around a talk or presentation provide an automatic icebreaker. Be more strategic when attending events. Ideally, you want to be the big fish in a small pond. As an example, say you’re a website developer with a niche of HVAC. 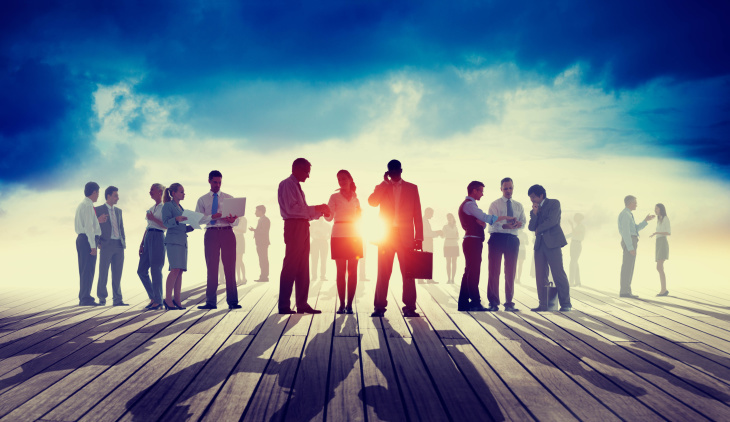 What type of networking event should you go to? What about an HVAC convention or trade show of sorts? If you just happen to be the only marketing or web design person there, then you are the big fish in a small pond. With many events and conferences, you can see the attendee list ahead of time online. Use this intel to prep a rough networking strategy ahead of time. Research who might be the best connections to make, then familiarize yourself with their LinkedIn page and recent social media posts for topics to discuss. Hosting an event means you have an opportunity to control the environment, always see who is coming, and do a little research before the event. Also, you can be a little selective as to whom you invite so that you are the big fish in a small pond. People crave authenticity. If you are an introvert, be an introvert but find out how to make it work when it comes to building your networks. Are there topics or interests that bring you out of your shell? Try bringing the conversation to those topics as naturally as you can. Hopefully, they will open up and share their frustrations with you and somewhere you will discover how you can solve their challenges. Remember, the person asking the right questions is in control. Most successful networking introverts do so through being a “give-getter.” They focus on the other person and how to help them. They take the emphasis away from their shyness and have learned how to focus on helping people—not selling them. People do not want to be sold. They want to be heard. If you find yourself on the outside of a huddle, catch someone’s eye and introduce yourself to one of the people in the huddle. They should welcome you into the conversation and introduce you to the other people in the group. If not, they are either not open to making new connections or they are total jerks you wouldn’t want to work with anyway. As an introvert, you may be more sensitive to these dynamics than others, because you’ve probably been on the outside more than once. If you find yourself inside a huddle, make an effort to open the group up so it’s a semi-circle and not a closed circle. Invite people into the conversation that you see standing alone or seem like they want to be included. They will certainly remember the kindness. Listening tends to come naturally to introverts. Our danger is not participating in the conversation enough. Try to be an active listener, interjecting with follow-up questions and your own related stories. Don’t just be an information sponge. It’s OK if the other person does most of the talking, but contribute something every few minutes. It’s the same process for writing a story that you learned in school. Just stay clear of asking “Why” in a networking setting. “Why” can conjure up a defensive attitude for some people. Everyone likes to be asked for their card. It’s a bit nicer than having to push it on someone. They will likely reciprocate and ask for yours. When you get their card, jot down something memorable about the person. If they don’t have a business card at the moment, ask if you can connect on LinkedIn. Quickly pull up their profile and confirm you have the right person. Most networkers do not follow up at all, so if you implement any of these strategies, you will be way ahead of the pack. Do not send just an automated email. (This is much easier if you make notes‚ as suggested above.) Consider a phone call or a personalized card. People never forget a personalized message that mentions something important in their life or business. Mention them three times before you mention yourself or your business once. This is not easy to do, so practice before you send them anything. The follow up is not about you. It is about how you can solve their challenges. Reach out to them in a one-on-one setting that plays to your strengths, and spend time listening to their challenges. And by that, we mean socially network. With groups on Facebook and LinkedIn, you can communicate with your peers and potential customers all over the world. The best way to stand out is just to help and be consistent. Find a group that matches your ideal customer persona or is full of people that you think are worth your time from a networking perspective. Then as you become a "regular," you will see people reach out to you asking for your help. If such a group doesn’t yet exist, you can create one on LinkedIn or Facebook. Why spend time networking at events, hoping to cross paths with the right people to propel your business forward? Instead, find them yourself. Instead of attending typical networking events, find future clients and collaborators by doing research online, finding out who is well connected, and reaching out. That way, you have the time to craft an initial contact email that is well thought-out. Who should you reach out to? Think about what services or products complement what you do and find the prominent figures in that industry. Develop the relationship if it is mutually beneficial, which you will find out as you connect with them. Finding speaking gigs is an easy way to build connections. Speaking, if you are able to do so, allows you to position yourself as an authority on the subject matter you present, and after your talk, people will come to you. It's also compounding time because instead of one-on-one, you are presenting once to every single person in the room. Yes, not all of us have a knack for public speaking, but it can be more effective than a typical networking event. Another indirect way to network is to become a contributor to different mass media blogs or industry-specific blogs. By being consistent, you will notice people reaching out to you. Also as an added benefit, you get the SEO love from these highly-recognized websites having a link back to your website (via the byline).